4mm lens providing a viewing angle of 79 degrees. 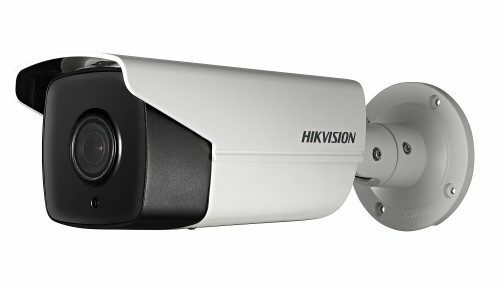 The Hikvision HIK-2CD2T85WDI54 or DS-2CD2T85FWDI is an outdoor IR bullet camera that produces an exceptional 8MP high-resolution video. Rigorously tested, Hikvision’s generation cameras have been designed to deliver 24/7 video surveillance with the clarity you expect from a Hikvision network camera. Part of Hikvision’s 4-Line 4K range of cameras, the HIK-2CD4A85IZHS2 is an outdoor bullet camera that produces an exceptional 8MP high resolution video. Supporting the H.264+ intelligent compression algorithm which allows output of an incredibly well balanced image and reduces bandwidth/storage requirements by up to 50%, inbuilt EXIR technology delivering unparalleled clarity at night for up to 50m and with a 2.8-12mm auto-focus lens, this camera is great for covering a wide area so you can focus on the detail you really want. Rigorously tested, Hikvision’s 4-Line generation cameras have been designed to deliver 24/7 video surveillance with the clarity you expect from a Hikvision network camera. 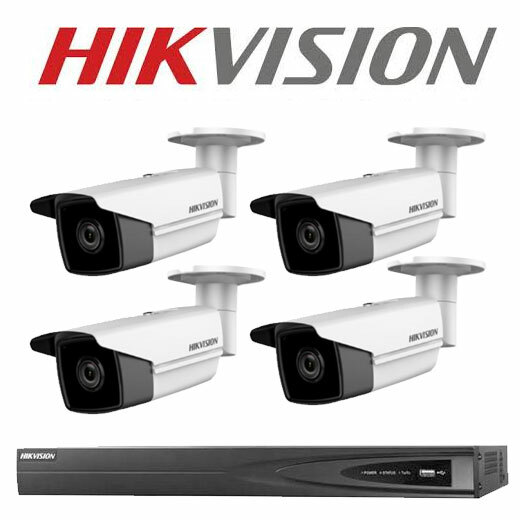 Part of Hikvision’s 4-Line 4K range of cameras, the HIK-2CD4685IZHS2 is a rugged bullet camera that produces an exceptional 8MP high resolution video at 22 frames per second. Coupled with inbuilt high performance infrared array technology delivering unparalleled clarity at night for up to 70m and a 2.8-12mm auto-focus lens, this camera is great for covering a wide area so you can focus on the detail you really want. Additionally, built-in smart analytics* allow for efficient pre and post event detection. Part of Hikvision’s enterprise range of network cameras, the HIK-2CD5A85G0IZS is an indoor bullet camera that produces exceptional 8MP high-resolution video. Powered by Darkfighter technology, this camera can produce clear and crisp images in ultra-low light situations. The HIK-2CD5A85G0IZS includes an ideal combination of smart features for its affordable price such as 120dB true wide dynamic range (WDR), image sensor technology, a high definition image processing chipset, audio/alarm IO and smart video content analytics (VCA). Additionally, this camera supports H.265 and H.265+ intelligent video compression, which reduces bandwidth/storage requirements by up to 50 percent and 80 percent, respectively. 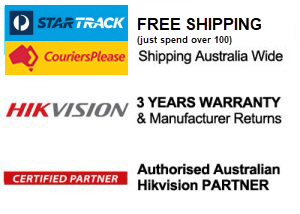 For the best performance, use of the DarkEye Lens (HIK-HV0733D6MP) is recommended. Part of Hikvision’s 4-Line range of ‘smart’ cameras, the HIK-2CD4A85F-IZ2 is an outdoor bullet camera that produces an exceptional 8MP (4K Ultra HD) image at 22 frames per second. Utilising an intelligent compression algorithm, H.264+, the bandwidth and storage requirement is reduced by an astonishing 50%. and with built-in smarts such as EXIR and advanced 3D digital noise reduction (3D DNR) technology, it can produce a crisp and clear image at night. Coupled with digital wide dynamic range (DWDR) and motorised 2.8-12mm lens, the HIK-2CD4A85F-IZ2 is a truly versatile piece of technology.